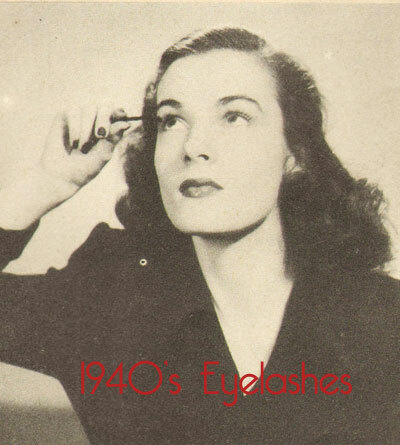 1940’s Fashion – The 1940’s Eye Make-up look . 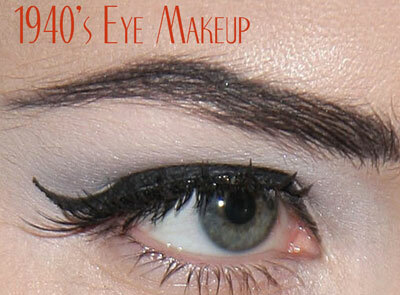 1940’s Fashion – Achieve the 1940’s Eye Make-up look . 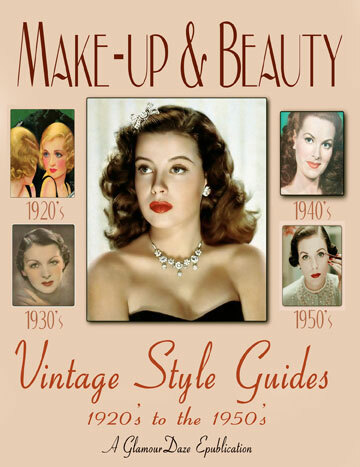 Adapted from Make-up & Beauty – Vintage 1940’s Guides. When you think of the 1940’s, particularly the Hollywood sirens of that time like Lauren Bacall and Rita Hayworth – the most striking aspect of their make-up is in the eyes. This was the decade which really went to town on mascara. 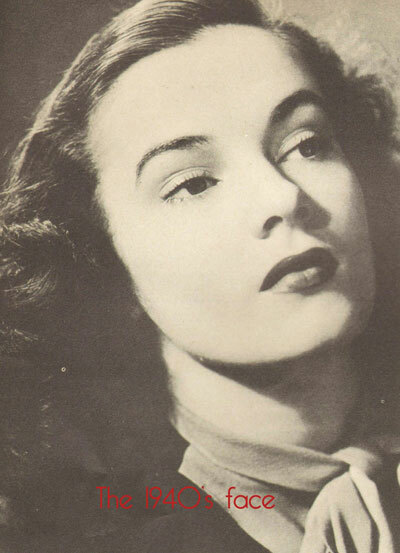 Unlike the smoky eyes of the 1920s or the plucked invisible type of eyebrows in the 1930s , the 1940’s celebrated the allure of a woman’s eyes, and beauty guides like this one stressed that shape to match your face was the key to beautiful eyes. Follow the natural arch, penciling in the lower part of the eyebrow rather than the upper, and finish with an outward extension toward the top of the ear. Smudge the line to make it appear part of the brow. Here again, follow the natural arch, but slightly elongate the end of the brow, making it point to the center of the ear. Blend. Trim the eyebrow into a definite, high arch with the end tapering into a fine line pinting toward the lower tip of the ear. make it appear part of the brow. 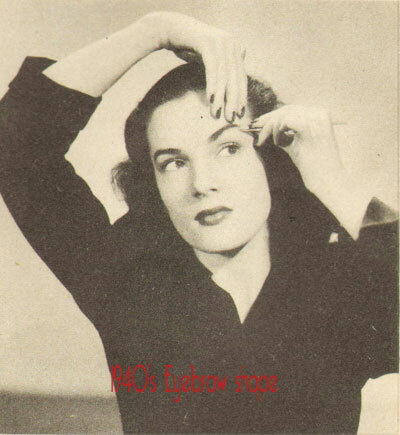 Arch the brow high, and extend the tip toward the upper tip of the ear. Blend the pencil marks well with the fingertips. For good grooming, eyelashes should be brushed regularly with an eyebrow brush and then a little Vaseline or even olive oil should be applied to the first finger and the lashes should be stroked upward to give them that luscious curve which is the delight of photographers and motion picture directors.The response to this daily care will pay big dividends.